Neuroscientists can now tell us amazing things about the brain, they are the experts on the nervous system. The argument that there is or is not a ‘mind’ is no longer relevant. A mind without a brain and a brain without a nervous system is not feasible. It is the mind that alerts us to fear, which may or not be a threatening situation. It is the brain within the processes of the central nervous system that responds to this perceived danger, affecting the tissues, causing pain. In June I attended a month in the Chronic Pain Clinic. Each day we were made aware of the importance of our own minds as we lived with chronic pain. We were encouraged to use breathing exercises to produce relaxation in order to break the cycle of pain produced by muscle tension and to relax the nervous system. Equally as important were the pacing strategies: breaking activities into small parts that were more manageable. Knowing, as I do, the personality patterns of those of us with fibromyalgia, I can say with certainty that we are high achievers and want to accomplish many tasks as quickly as possible. Pacing is very difficult for us. Self-talk was encouraged in order to practice ‘letting go’. The motto was: ‘DO-REST-DO“,finding a baseline within which we can work, stop, rest and do again. I warn the readers it isn’t an easy task practicing these strategies on a daily, almost moment by moment routine! This entry was posted in Fibromyalgia, hyper-vigilance, nociceptors, pacing, pema chodron, self talk, stimulation on December 9, 2015 by Barbara Keddy. 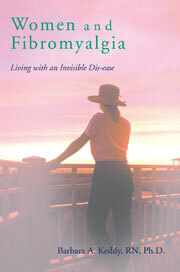 To live a life in a state of high anxiety, boarding on panic, is common among those of us with fibromyalgia. We anticipate pain, fatigue, muddled thoughts, and a myriad of other symptoms almost every waking (and sleeping!) hour. It has become a habit that often seems unable to be broken and depression and fear set in. Often accompanying this is the brain fog, the confusion that often does not allow us to focus or to think clearly. Some describe the sensation as “fuzzy brain”, “spaced out”, “dreamy”, “brain farts” or just plain forgetfulness.Whatever the label those of us with the condition know it is often accelerated by over stimulation, lack of sleep, pain, stress and anxiety. The new medical term is now “dyscognition“. It would seem that the brain has difficulty in responding to stimuli because of a hyper-aroused central nervous system, a phrase I keep repeating over and over again in my many blogs. These habits of the brain are strong and require discipline that is challenging to break free from since they have accumulated over many years. Stress and all that it encompasses is, in my view, a main culprit. This entry was posted in ADULT COLOURING BOOKS, anxiety and the brain, brain fog, D. Kaufer, dyscognition, Fibromyalgia, gray and white matter in the brain, M.Chris Wolf, mandala, mindfulness meditation, pema chodron, QiGong, stress and fibromyalgia, TaiChi, Veterans and PTSD, yoga on August 22, 2015 by Barbara Keddy.